LONDON, July 9 (Reuters) - It was third time lucky for American Serena Williams as she finally matched Steffi Graf's professional era record of 22 grand slam singles titles by beating Angelique Kerber to claim a seventh Wimbledon crown on Saturday. "It's been incredibly difficult not to think about it (Graf's record)," a smiling Serena said on court as she clutched the Venus Rosewater Dish. "Thanks you guys for being out here to see number 22, this is awesome," she said to the crowd who were treated to a one hour 21 minute final full of absorbing rallies. #Serena 🙏🏾 I bow down. And am simultaneously uplifted. 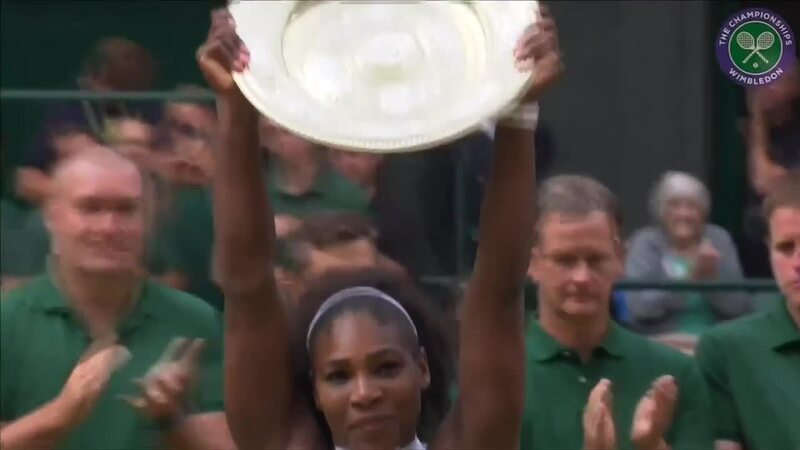 Way to go @serenawilliams - you are a true champion. Proud of you! Man I'm crying. @serenawilliams just put a small bandaid on my heart! Thank you!!!! Thank you my beautiful friend! "It's the single greatest weapon in the history of the women's game, followed closely by her will to win," was three-times men's champion John McEnroe's succinct summing up of what keeps world number one Williams in a league of her own. With a memorable win against Serena in Melbourne, the German walked on court full of belief -- winning the opening point of the final with a cleanly struck forehand. She bristled with intensity and was bent double, pumping both fists, when winning a long rally at 3-3 as Kerber made her first inroads against the American's serve. Having coped admirably with the heavy artillery heading her way, Kerber's downfall when serving at 5-6 in the first set was self-inflicted as two poor errors opened the door for Williams to take the opener.